During the Christmas period, the market for selling property tends to slow down with the busiest periods being Autumn and Spring. Summer is the best time to get houses organised for that SOLD sticker with profit renovations. “Spending a little in the right place can make a big impact when the time comes to sell” – Angus Kell of Archicentre NSW & ACT. But what things are worth investing? Here are a few suggestions for you to consider. Fencing the property can enhance the kerb appeal to any home. However, it is important to look around the suburb to get a feel for the style you should go for. Decks can also add big value to any home. 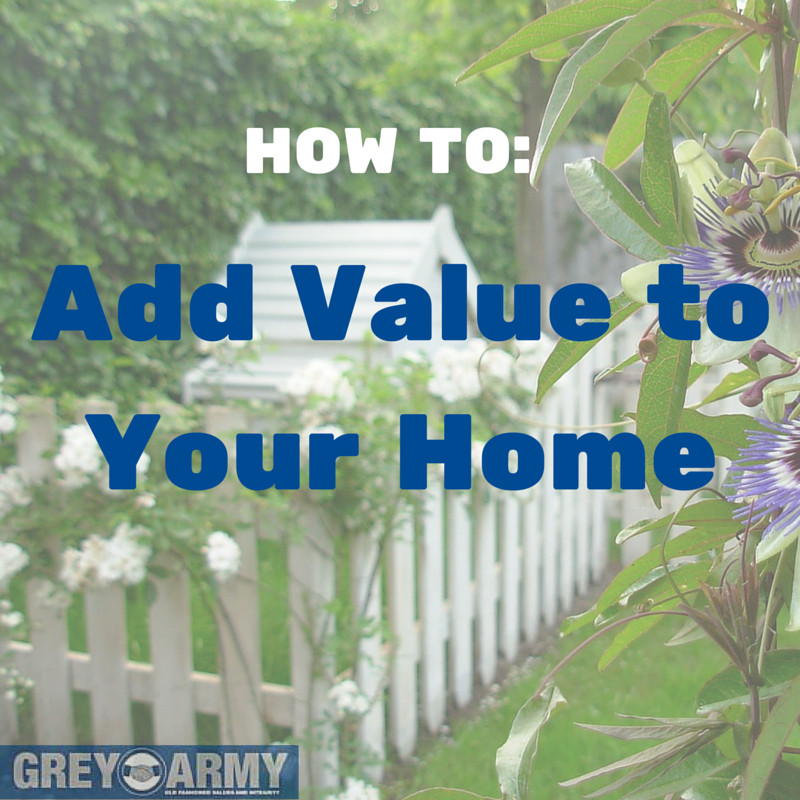 Not only does it increase value for the seller, but it also adds value for the buyer. Adding a deck is also cheaper and quicker alternative to full-blown extensions. Landscaping is another strategic way to increase property value. Lay new lawn, especially if the lawn has browned-off over winter. Buffalo is an excellent choice to give homes a lush feel, however if your client is after something cheaper, Kikuyu is a more cost-effective option. Define any lawn edges to give the appearance of low maintenance easy to care for yards. Remove any weeds and fill the gardens with plants to block out any traffic noise, nosy neighbours or spots lacking visual appeal. Polish floor boards in the home. This simple trick can quickly make any space look classy and more refined. Search underneath old carpet, if the boarding underneath is in good condition, pull up the carpet, sand and polish the floorboards using an odour free, oil based stain. In addition, bedrooms with fresh carpet, give a nice homey feel and the illusion of comfort and warmth. 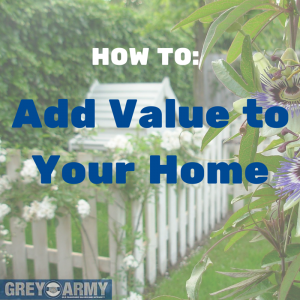 Looking to add value to your home? Contact a Grey Army Victoria handyman today by calling 13 11 98!